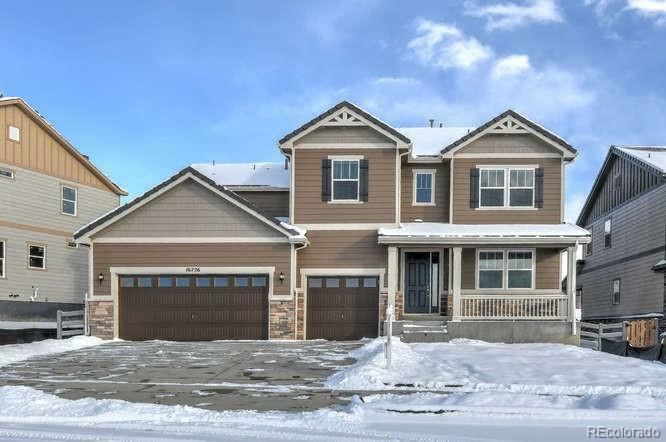 This beautiful new home features a dramatic two-story entry and a spacious great room with an elegant fireplace. You'll also appreciate the formal dining room with butler's pantry that leads to the gourmet kitchen with central island and breakfast nook. Other highlights include a private study and a luxurious master suite with deluxe bath and a large walk-in closet. The finished basement adds an additional bedroom, bath and large rec room making this a perfect home for a large family or for entertaining. This home will be beginning construction and available Spring of 2019. Part of the popular Anthem Highlands masterplan, residents can enjoy a variety of exciting amenities at the Parkside Community Center, like pools with waterslides, sport courts, a fitness center, lounges with coffee bars and much more.